Guitarist and composer Michael Alexander created the Universal Mind Project in 2012. His idea was to get together like-minded musicians who would collaborate on a concept album; one with a strong storyline and powerful compelling Metal music. To aid him with this idea he asked Elina Laivera and Henrik Båth (Darkwater) to help out on vocals, Michael Alexander to join him on guitars and growls whilst adding Alex Landenburg (Luca Turilli's Rhapsody) to complete the mix with his dynamic drumming. To help with the multiple characters from the story, Alexander has also used the talents of Nils K. Rue, Mark Jansen, Charlie Dominici, Diego Valdez, Alessandro Bissa, Mike LePond, Emanuele Casali and Johan Reinholz to flesh out the band's sound. Now, having a list of musicians as good as the ones mentioned above would be of little use if the songs and concept didn't stack up to scrutiny. Thankfully, 'The Jaguar Priest' is a superb slice of Melodic Power Metal, brimming with superb performances, memorable songs and a strong forceful production from DGM's Simone Mularoni. Picking out a few songs to highlight is easy, even though this is a concept album, because each track can be taken out of context from the full body of work and still be successful as an individual song. The standouts include the first two tracks, 'Anthem For Freedom' and 'Truth', which show off just what UMP are all about. Two intense Melodic Metal tracks, played by musicians who have a real feel for this style of Rock. When you then have singers who have the power, depth and range to carry off this style of Power Metal, you know you're in for an audio delight. Others to check out are the epics 'Awakened By The Light (Universal Mind)', 'The Jaguar Priest' and 'The Force Of Our Creation'. Each song is filled with potent musicianship, dramatic vocals and melodies by the bucket load. My personal favourite though is the emotional ballad 'A World That Burns', where Laivera gives a jaw droppingly good performance that sends chills down the back of your neck. 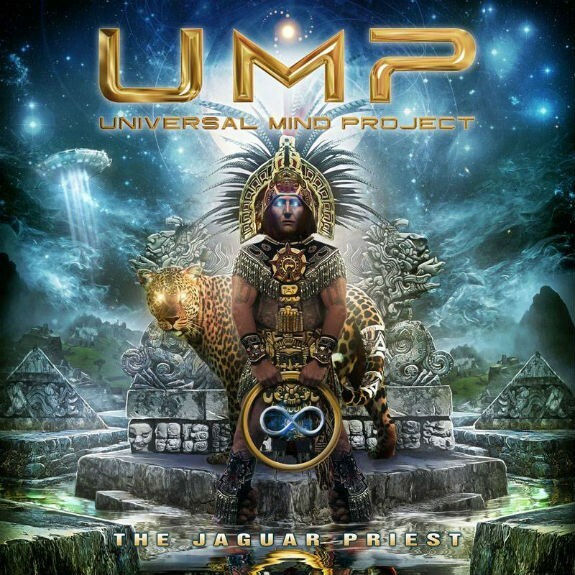 Melodic with just the right amount of heaviness, powerful and well-played, with a vibrant production, Universal Mind Project has everything a Melodic Power Metal fan could ask for and more. A fine debut and no mistake.